Not all the musical scores and songs that you would come across while learning or reading music would be simple. You would find some really complicated and complex instances too in a song. That doesn’t mean you have to unnecessarily push yourself for working with those notes that are above your level of expertise. You can comfortably simplify certain instances of a song and can play it beautifully well at an event or at a family gathering. Sometimes when you are in a party and people get to know that you know how to play pianoor are learning for instance, they may give you a book of songs and may ask you to play a number that is complicated. For such instances we have gathered some tips that would guide you with tricks to deal with fancy fast notes of a song. One of the most common compliant that beginners piano learners make is that they find playing piano a difficult task for them. A common error is usually selection of wrong melodies or songs. By wrong we mean that sometimes you select and try playing a complicated song even in the stage of being a beginner. Such songs may have complex notes and you may end up being frustrated with practicing piano. Such song selection would give negating effects to your learning process. If you are learning with a trained and professionally talented piano teacher, he/she will be able to give you songs for learning and practicing according to your caliber. However if it is you who wants to learn to play a favorite number that has difficult notes, you can easily simplify such songs according to your caliber so that you can enjoy it and with time and practice you will master at other complex notes too. Begin with your left hand side as simplifying that side would be much easier to begin with. Explore what goes around your left hand. For instance if you have a fast rhythm over your left hand side, try simplifying it to a note in that section or bar. Remember that the simplification of notes must be carried throughout the song. For example if the song you have chosen has 8 notes being played for a rhythm quickly over left side, try to bring it down to play one note at the beginning. Keep on following the same pattern but as you pick up speed and become comfortable, try increasing the number of notes. Increase gradually from one note for 4 beats per section, 4 notes per bar, so on and so forth. There is no harm in leaving some fast notes that you find difficult to play rather focus on melody notes. Your melody should be straight with top note followed throughout the song. If you can keep top melody notes and bottom base notes as they are in the song, anything in the middle can be skipped. By doing so you will be able to build a justifiable arrangement. 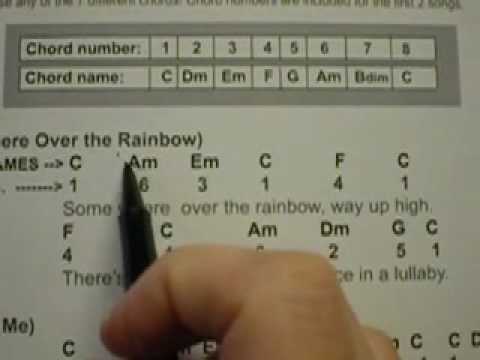 Once you have simplified the left side with a melody created similar to the original song melody, you can now follow it for your right hand side as well. Look for notes that are chord shaped for example 2 notes down and follow for right hand too. Check the highest note and follow it. Those difficult notes that you have skipped are there to make the sound full and rich and even at this stage of learning if you avoid playing them in a song, believe it that your melody will sound just fine. Follow the melody line and you will find it easier to play. At a later stage you can practice and train yourself for even faster notes and arrangements. Playing like a pro pianists needs practice of years. Not all the arrangements would be of your caliber and it is thus for you to simplify things according to your level. If there is a certain piece that someone wants you to play or if it is your personal favorite and you want to learn it; focus on general structure and pattern of this song and simplify notes. You should focus on longer and high notes and simplify the score by playing one note at a time. Once you begin to get familiar with the melody and its structure, you can raise the bar gradually. Not only for piano players but this trick works well even if you are learning to play any other instrument. Skip complex things and get your hands on scores that are suitable for you to play. How to play duets with piano?